I can remember the day I started reading books. I knew how to read; I had for a year or two. But I didn’t know what it was for. I didn’t realize that books contained stories, or if I did, I wasn’t interested in them. I was more interested in the worlds inside my head–with my toys and my siblings and our games. Then, one day, my grandmother got my brother this amazing playset. (It truly was amazing. See here.) It was a Robin Hood set, it turns out. We didn’t know about Robin Hood. So shortly thereafter a book appeared. This book. We three devoured it, and my world was changed forever. Sometime later I realized the purpose of bookcases. They weren’t just something to be dusted–they were full of books. We had a particularly large book case built into the wall right in the living room, and once I got interested in books I made a wonderful discovery. Any books that I could reach, I could reach. Books I couldn’t reach I had to ask for. One day my mother bribed me to clean my room by promising a new book–one from the very top shelf. It turned out to be a Nancy Drew book. I read it, handed it back, and got the next one. And then there were libraries. I don’t remember much about libraries before we moved out to the country. I do remember the day I found the shelf of Andrew Lang books on one of our town trips. Entire collections of fairytales in one book…and dozens of those books on one shelf. I read them all. On the shelf of picture books when I was still small and Not A Reader were several “What Were Castles Like” and “Life in the Middle Ages” books. Playing knights and princesses is something I’ve done since I was born, I think. And when I discovered the Bookcase I found a beautifully illustrated collection of Arthurian legends all centring around Lancelot. Lancelot was probably my first crush. In the due course of time I grew up. I formed opinions. I read the entire works of William Shakespeare. I got into mysteries and read the complete adventures of Sherlock Holmes. I read a dozen or so books by Howard Pyle and decided I didn’t care for him. I read Ivanhoe. 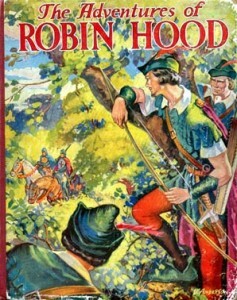 Someone let me borrow a version of Robin Hood by Paul Creswick and to this day it’s the most amazing thing I’ve ever read. I cried at the end. I bought myself the Roger Lancelyn Green versions of Robin Hood and King Arthur on one of our trips to Barnes and Noble. And I kept reading fairytales. My first novel was Lightning Ranger–Robin Hood meets Lone Ranger meets a song from my piano book meets a child’s obsession with medieval torture. After I finished that I started a five-act tragedy, but abandoned it after the first act due to lack of plot. I tried twice to do a retelling of the Frog Prince, and actually completed a version of Sleeping Beauty. Then I got into song-writing and decided to write a musical. 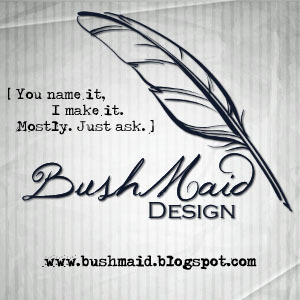 I started with a song (Impossible) and then wrapped a plot around it. The story follows a fairy prince who courts a mortal princess, Katherine. The princess is the only daughter of her father, much loved, and all the men in the land have come to seek their hand. To choose a suitor they are holding a series of contests. But the princess has a foster sister, and the fairy prince has a secret, and when the tests are over and the battle won and the winning prince is chosen–it’s not the protagonist, and the book is only half over. 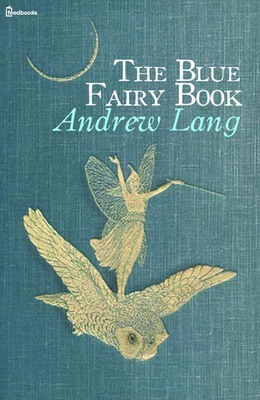 It’s Andrew Lang meets William Shakespeare, and it blew the minds of my childhood friends, and my adoring relatives. Where did you come up with such a complex plot, they asked me? I didn’t know then. Years later I realized that every young writer emulates the authors they love to read the most, and I never read popular fiction. I read old stuff, classics, and the grandmaster of the English language and convoluted fantastical plots himself. I didn’t forget about Arthur and Robin Hood. I occasionally revisited the old legends, but that’s all they were now. Old. Something I had enjoyed in my childhood and moved past. I extolled the virtues of the original fairy tales but they no longer captured my attention or held my interest. I had no time to sit back and relax with a story form I felt I already understood. But through all my adventures into Arthurian myth, one thing was always missing. I knew that the oldest of the ancient legends originated in Wales, where Arthur wasn’t even a main character, but a brief mention, and the grail was not a holy cup out of Israel but an ancient, evil cauldron stolen from another realm. I knew the author of the original ballads–Taliesin, but I never found a copy to read. 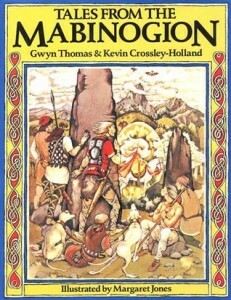 I never knew the welsh origins of my favourite mythology, and I felt the loss every time I came across someone who did. So last week I picked up the Maginogian series by Evangaline Walton, assuming I wouldn’t ever get around to reading it, but hoping that maybe my desire to learn Welsh mythology would win out. It did, in combination with the short, readable lengths of the ancient paperbacks. I read the Prince of Annwn first, and was interested while not impressed. And then I moved onto to Children of Llyr. Celtic folklore and mythology is nothing like the watered down Disnified versions we tell to our children today. Never has this been more clear than in the Mabiginon. Walton’s writing is unapologetically honest–reading almost more like a historical text than a work of fiction. But there is a power to that telling that exceeds the emotional manipulation of modern fantasy and science fiction writers. There is a lack of plot and structure that belies its age, and gives the telling a hue or realism, rather than convenient pacing. Casting about for something to compare it to it reminded me a little of Lord of the Rings, and then I realized that Tolkien cannot hold a handle to this. Because Middle Earth was invented entirely in the head of one man, and the Mabigonion, in some form, happened to real people thousands of years ago. So what am I saying then? That mythology is superior to all other forms of story writing and that we should all put down our pens and become wandering bards? Well yes, but also no. Since these ancient myths are not only the earliest but also the highest forms of storytelling what we should do is study them; learn from them. Instead of reading countless instructions books and struggling to keep up with all the latest fads, go back and study the original templates. Instead of criticizing what they do wrong (according to modern standards) study what they do right. Then take that, and apply it to your own craft. 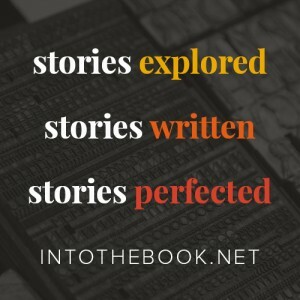 You might not get the results that literary agents are looking for, or write the book that will become the next bestseller, but you will create something beautiful, which is ultimately more important.